Living Will - What should you do when 'the end of the line' draws near?Living Will - What should you do when 'the end of the line' draws near? Blog | Living Will | Living Will – What should you do when ‘the end of the line’ draws near? Last week’s blog post on euthanasia, or physician-assisted suicide, certainly generated a lot of interest. If you haven’t read it, click here to view the post. We were delighted that Fin24 picked up our story and carried it too: click here to read. If you are incapacitated or your survival depends on medical treatment, what treatment would you want – if any? What would be acceptable to you? A Living Will only takes effect if you are unable to communicate: it ensures that your wishes are respected. The document needs to be updated regularly – people’s opinions and health status change as they grow older. The younger you are when you prepare yourself for the inevitable, the better: in fact, if organ donation is part of the Living Will, the document can be prepared any time after the age of 18. The document should be comprehensive, with clear instructions about your requirements regarding CPR (cardiopulmonary resuscitation), tube-feeding, hospice care, organ donation or an autopsy. The SA Medical Association has issued a statement that patients have a constitutional right to have the conditions of their Living Will met. The Living Will is recognised in common law but, as with a will and power of attorney, it’s advisable to discuss this with your doctor and your lawyer. Power of Attorney is a legal document naming the person responsible for making sure your instructions are followed in an end-of-life situation. You can appoint a trusted friend or relative (at least one, preferably two) to represent you. These people are also called proxies. The document should be signed, dated, witnessed, notarised, copied and distributed to close family or friends and your doctor. The AMD, like the Living Will, is the instruction you give about end-of-life care if you need it and it is drawn up by your doctor. Bear in mind that unless the patient is in a permanent vegetative state, the AMD is not recognised in law. It’s also worth noting that in an emergency situation, the paramedics are unlikely to be aware of an AMD: their mandate is to save life at all costs. DNR is a form of passive euthanasia that allows nature to take its course in the final stages of life, without active intervention to save life, but does not take specific actions to end the life. The doctor will advise your proxy (named in the Living Will) when CPR is no longer viable; in these situations, equipment (a resuscitator or CPR unit) is closed down. If you believe that DNR is an acceptable way to end life, you will need to make this clear in the AD or the Living Will. Information on the rights of children under 18 is somewhat sparse – probably because this discussion is still tentative, like the discussion around mentally ill or depressive patients. It is just a step too far for many people. Children need a high level of protection and it’s becoming accepted that including them in discussions involving their future is important when this is practical. They have special needs and wishes that should be respected wherever possible. However, in February this year the Belgian Parliament extended the existing law to cover children who are close to death and/or suffering with no chance of recovery; only last month a young Belgian boy was the first to take the decision to end his life. There is an organisation called the International Children’s Palliative Care Network researching the subject and making representations to the authorities. The next step in the debate raises many moral and ethical questions. Should someone who is not terminally ill (e.g. psychiatric patients and people with dementia) be helped to end their life? Furthermore, if someone believes that life is no longer worth living, does this give them the right to have help in dying? The Dutch Right to Die Society is actively campaigning to give lethal medication to people over 70 who feel that their lives are over. There are serious concerns around the ‘the slippery slope’ (discussed in the first article) but, as with euthanasia and assisted death, adequate controls should guarantee that the right to death can be assured and not abused. 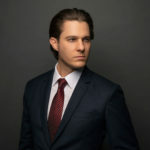 There are more questions than answers surrounding this delicate and difficult subject but one thing is becoming apparent: there is an ever-increasing demand for answers from the legal and medical professions. Laws need to be debated – in the case of South Africa, the Draft Bill on End of Life has been with Parliament for nearly 20 years without resolution. There is a strong case for putting safeguards – checks and balances – in place if society is going to help people end their lives with dignity. Medical science constantly extends the boundaries of pain relief and organ support but do the benefits of palliative care ensure an acceptable quality of life? Other things to consider are psychotherapy, a period of time to consider the decision and consultations with counsellors, doctors and specialists. This is not a subject to be taken lightly and if you are going to make provision for what should happen to you in the case of terminal illness, who should make that final decision and what your preferences are regarding organ donation, you will probably need professional help. If you’ve read this far, you may be feeling a bit bleak. We all know we are not immortal, but actually discussing death openly is unpleasant and even frightening for some, and a cultural taboo for others. Yet those who have documented their desires and informed their nearest and dearest often express a sense of relief and lightness, in the same way that making a will puts one’s ‘affairs in order’. It can be reassuring to know that when the time comes, as it will for all of us, your wishes will be respected, even if you are unable to voice them yourself. Having this peace of mind, you can get on with enjoying life to the full! A Living Will should be professionally drafted to ensure it is legally binding when you need it. 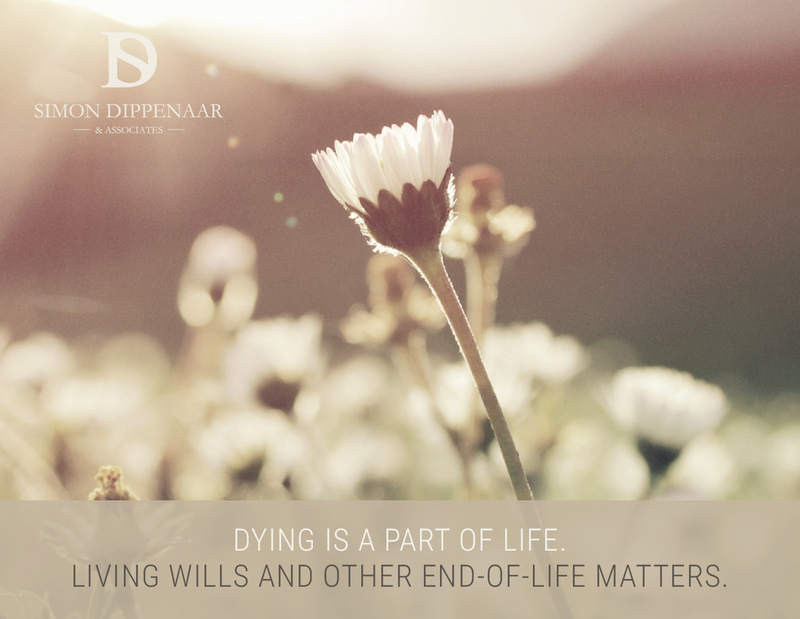 If you would like to discuss your end-of-life medical arrangements or your financial and property disbursements (your will), contact Simon on 087 550 2740 or 076 116 0623 or email sdippenaar@sdlaw.co.za. This entry was posted in Living Will and tagged in euthanasia, living will.